My children love to spend time at grandma and grandpa’s house, but their home is anything but child friendly. I spend our whole visits fretting about them potentially knocking over an expensive vase or breaking the crystal candy dishes. My parents love their grandchildren but also enjoy having nice things. How can I make their visits more fun and less worrisome? Full of love? Yes. Child-friendly? No. to establish an agreement with the home owner before the next interaction. Call grandma and grandpa and express your concerns. 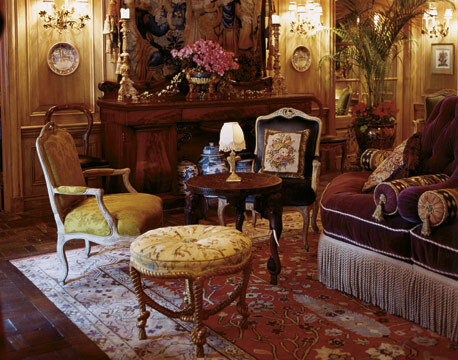 Ask which rooms are off limits to the children and which area of the home your kids can play in during family gatherings. Pack a few simple toys, crayons, paper, and non-messy snacks when you visit. If your children are preschool-aged or older, explain to them that they need to walk, not run and how to ask before touching something. Weather permitting, try to keep the children outside. If they burn off energy outside, they’ll be less likely to attempt to juggle the candy dishes. 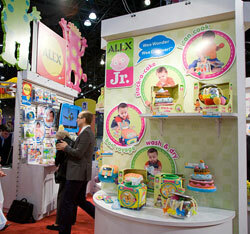 Buyers, retailers and the media were all abuzz in the ALEX booth at Toy Fair 2010! ALEX showcased over 100 exciting new products in all seven of its categories of toys: baby, preschool, bath, art, craft, style and play. Highlights of the new line include Talk of the Farm, an exciting interactive toy which comes to life as a child moves a truck on a magical talking mat; Foil Bead Maker and Cap It Off jewelry craft kits; and Ready, Set, Go! Trike, a 3-in-1 tricycle that grows as your child does. 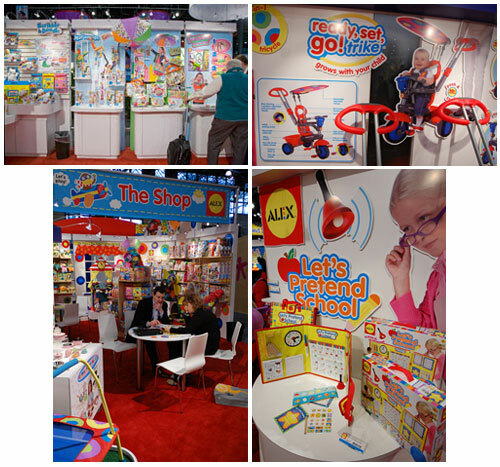 In addition, the booth featured a model of an ALEX store-within-a-store which is currently in many Learning Express stores and numerous other specialty stores worldwide. 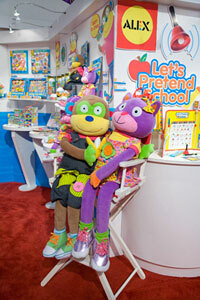 The American International Toy Fair ran February 14-17 at New York City’s Javits Center. View the full set of pictures by visiting the Toy Fair 2010 NYC Flickr Photos. enjoy. These literary gems have stood the test of time and have been delighting lovers of the written word for years. Visit your local library, make some hot cocoa, and enjoy some read-aloud time. My family and I have been watching the Winter Olympics with our two children and have been really enjoying seeing peak athletes enjoy the fruit of their labor. It’s very tempting to look at my own kids who are involved in sports and wonder if they’ll ever experience an Olympic gold moment! I read last week’s Ask Nurit about keeping reading fun rather than pushing young children before they’re ready, does this apply to creating athletic champions? How do I balance wanting my pre-teens to reach their full potential and allowing kids to be kids? This is a great question. It is inspiring to watch speed skaters whiz past the cameras and skiers fly through the air with their parents (and entire country) cheering from the sidelines. Make sure it inspires you to help your children reach their dreams, not yours. If your kids have a passion for a sport or art, encourage them and let them take it as far as they want to, within reason of course. Know your child well enough so that you can help them push past obstacles and keep their commitments. Reaching for the gold isn’t only about earning medals, it’s about being the best version of yourself. Let’s be sure to pass that on to the generations to come. 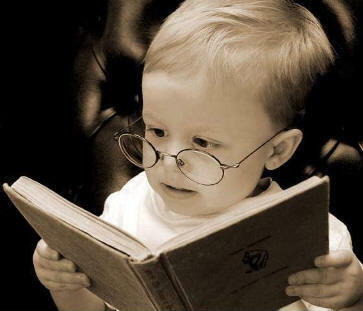 I’m the parent of a 3 year-old boy who is feeling the pressure to teach my son to read. Whether it is an infomercial promising to create a little reader out of my toddler or just the voice in the back of my head wanting him to succeed in life, I’m getting anxious. How can I help my son love books? A love of reading is truly a gift that parents can pass along to their pre-readers. At this stage in your child’s development don’t worry about creating the next Eric Carle. Just make it fun. Depending on your local library’s policy, your son may be eligible for a library card of his own. If so, sign him up for one. Visit the library regularly and let him check out several books at a time. Read everyday whether in the morning during breakfast or in the evening right before bed. Take the initiative and put books in front of your child that follow the subject matter he’s currently passionate about. Does he love cooking? Check out a cookbook and make a point of reading the recipe aloud at every step. Is he in to trucks? Surprise him with a book that includes photos of several kinds of vehicles. Children naturally learn when they are having fun so don’t worry about formulas and worksheets at this point. Enjoy where your child is developmentally and meet him there. Blissdom, a popular conference in Nashville, kicks off tomorrow. The three-day long event draws moms from all over the nation to hear speakers cover topics such as monetizing blogs, social media, and more. We’re pleased to be taking part in the Opening Night Cocktail Party! 10 ALEX Toys products will be given away as door prizes. Blissdom is the brainchild of Allison Worthington and Barbara Jones, two entrepreneurs. The first conference was in 2008 and its grown exponentially since then. In the spirit of celebration we’ve decided to hold an ALEX Toys Blissdom Twitter Contest! You don’t have to be attending Blissdom to win. 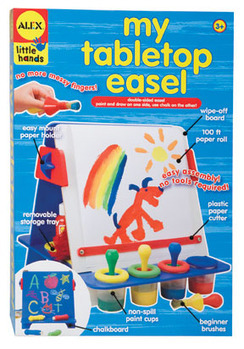 We’ll pick one person who tweets with the Hashtag #Blissdom and includes “@ALEXToys” between now and 11:59 PM EST on February 6th to win an ALEX Toys My Tabletop Easel. Dear Nurit, I’m a kindergarten teacher and would like to introduce my class to Black History Month in a fun way. Do you have an ideas for engaging 5 and 6 year-olds? February is Black History month. Kindergartens are not too young to learn the basics. You can engage your young learners to think about the past while pondering what kind of future they’d like to create for themselves. –Take them to your school’s library and read them age-appropriate stories about important African-American historical figures including Martin Luther King Jr. and Harriet Tubman. -Draw a large dialogue cartoon bubble on a sheet of construction paper for each child with the words “I Have a Dream” inside. Ask them what their hopes and wishes are for the future and write them down. Let them create illustrations to go along with the text. -Each Friday of the month, share a fact about African-American history with your students.